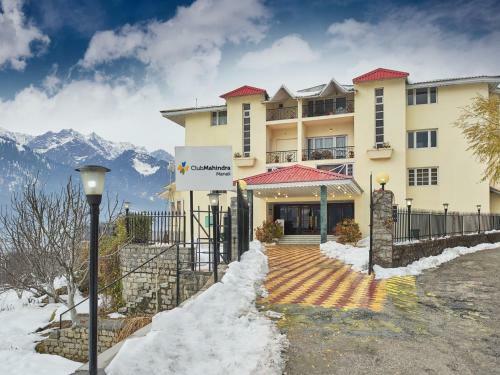 Set against a backdrop of snow-capped mountains is Club Mahindra Snow Peaks. Nestled amid an apple orchard and a beautiful meadow, it offers spacious rooms, a range of indoor and outdoor activities, as well as a spa. Rooms with large windows, come with wooden furnishings and a satellite TV. They are also equipped with an electric kettle, sofabed and minibar. The en suite bathroom comes with hot/cold shower facilities. Select rooms also offer a kitchenette. Relaxing head and foot massages are offered, along with traditional Ayurvedic massage at Svaastha Spa. Club Mahindra has a library and offers indoor activities such as arts and craft and video games. Arrangements can also be made for guests to enjoy horseback riding, rock climbing and even paragliding. After a long day of activity, a delicious Indian meal can be enjoyed at Orchard Restaurant. Cocktails and mocktails are served at Cider Lounge Bar. 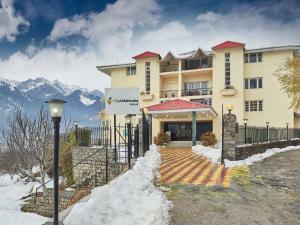 Club Mahindra Snow Peaks is 52 km from Bhuntar Airport. It is a 9-hour journey to Chandigarh Railway Station.